Drew bought BlizzCon tickets and it took us way too long to realise they actually have a TV app for apple and chrome. Don’t make our mistake next year by fluffing about for hours to get the laptop connected and everything running only to discover you could have just downloaded an app 🙂 I was still recovering from sickness and so I couldn’t handle the thought of doing anything else but vegetating for the weekend. Drew also bought me a Whomper pet!! Such adorableness for a good cause. LOOOOOK!!! Watching the panels with the voices behind the characters and the artists is one of the main reasons I watch BlizzCon. It is so amazing to hear them and this year Laura Bailey actually sang the Warbringer song live. It was so freaking amazing. I cried. I ACTUALLY CRIED!! <3 Laura Bailey. Every time I watch the artists I wish I had the abilities, skill and creative understanding they had. So normally I comment something along the lines of ” Man, I wish I could do that! !”, Drew generally rolls his eyes and then says, “Have you done any practise? How many days have you drawn, photographed etc this week?” and I generally hang my head in shame. I always forget that people have to make effort to get good at something, I like to just think people are born with those skills and that is simply not true. They practise and they practise and they keep practising every single day until they can create these things of beauty. I need my motivation to be better. Flying is long enough way I can probably get my reputations completed by then. The new updated graphics on Arathi Basin make me wistful for the hours we spent in there just having a laugh with friends. I miss it and I can’t wait to see update. New raid is coming after the new year which should hopefully give me time to get the current heroics completed with the guild. Kultiran Druid forms are the bomb and I want to run alliance druids now. Timewalking to Drainer – no thank you. That place was bad enough once, I won’t willingly go back there to experience it – unless the gear we get is a legendary piece. The new cinematic with Saurfang and Anduin was amazing. I can’t wait to see what story that leads into. A third faction? Some sort of choice? 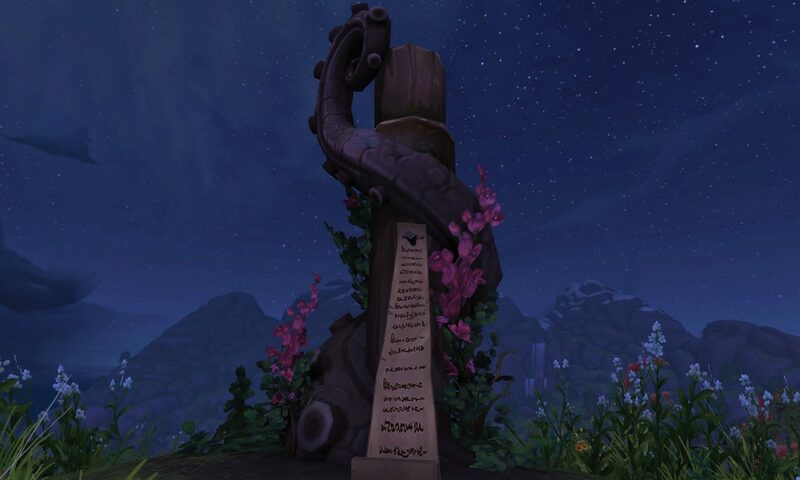 The end of Sylvanas’ reign? New Overwatch character Ashe looks like fun. I want to play more Overwatch and HoTS (still) – I really enjoy both games but I don’t enjoy playing with horrible people because I am terrible. I really want to invest some time in doing something creative in my life – voice acting, drawing, photography…I am not sure…but something. I want to create things. Classic is going to be a mindbender and I can’t wait to play with Drew’s demo access. I still have a few panels I want to watch so will try and get through them this week, but I am pretty happy with the stuff I was seeing overall. Some cool things though, Mike M showed up at the start like always 🙂 It was a nice touch to send us off into the future with one last goodbye and then Chris M turned up and asked a question in the Q & A. It was epic! So epic! He asked when the real warchief would return – we are all wondering the same thing. What about you? What bits are you most excited for in the future? Next PostNext Transmogrification Classic is at the midway point!! !